When you are about to start a website, the very first thing that you will need is a domain name. In simple words, domain name is the identity / name of your website. It should be short, memorable, use the keyword and most importantly, it should be able to communicate and build your brand identity. Choosing a domain name is very critical to your identity on the web. You have to be careful (about copyrights) and thoughtful about finding a domain name that works for business. Reference: Here are quick tips to choosing the perfect domain name. 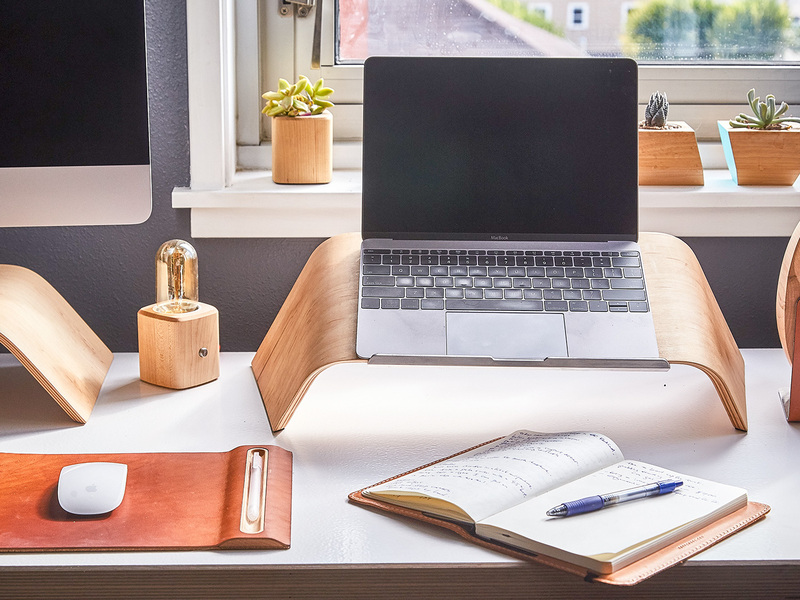 Here are 10 awesome domain name tools and business name generators to find catchy names for your brand or a business website. Domain Puzzler is a simple tool and yet it comes with an extensive list of name generation options. It generates the names based on your desired keywords and extensions. This tool stands out from many other tools available because it allows users to combine more than one keyword. NameMesh is a cool domain search tool. It uses different colors to group the generated results. Green, for instance, is used to denote the availability of popular names, orange for the availability of new names, light green for alternatives while light and dark blue colors are used to depict popular names and suffixes. Red indicates that there is a need for some SEO considerations and the tool advises as necessary. Pink suggests that you should consider a shorter name and violet suggests fun and engaging techniques that you can use to come up with a creative domain name. This tool is pretty robust. It combines your keywords with other words to generate a list of available domain names. The results generated can be sorted alphabetically, based on popularity or the position of the keywords. This tool has a usability feature similar to NameMesh above. It also uses different colors to show the available domain names and their status. Yellow denotes favorite names, the color red is used to mark already registered domain names and green is used to denote available domain names. Wordoid is described as “an intelligent naming tool”. It generates a random list of words and separates them into low, medium and high-quality words in different languages and in lengths of 5 to 15 characters. This tool is apt for finding creative names that can become your brand identity. It also features a domain checker tool to quickly check the availability of any domain. Note: Although most of the names generated by this tool do not make literal sense, they are very creative and brand related. Nonetheless you can give it a try and get some good ideas to begin with. The tool is free, but it requires you to login via Google or Facebook. 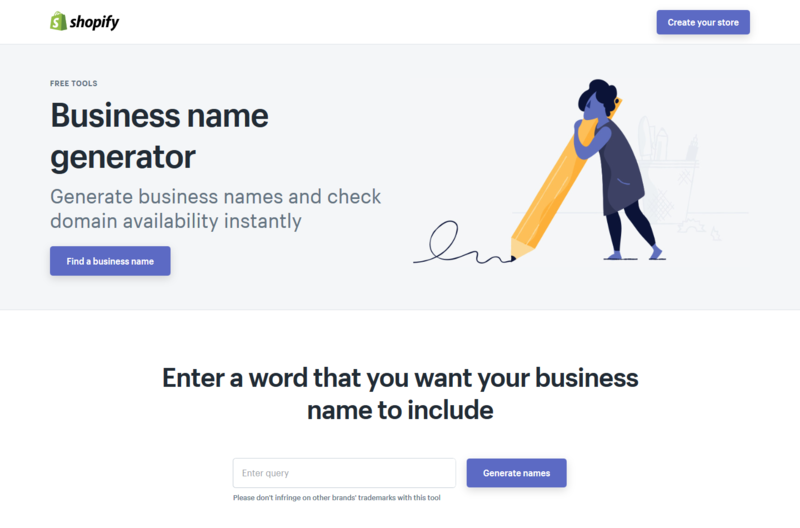 Business Name Generator is a free tool from Shopify. This tool automatically combines your keywords with other words to generate a list of available domain names. Enter a keyword and this tool will generate as many creative and sensible names as it can. It is one of the must have tools on your list of finding a business name (not the domain name per se) for your new venture. Bustaname has a lot of filtering options. It readily runs a quick search for available domain names and it generates them by combining words, synonyms, and prefixes. This tool has a “make a random domain” tool embedded in it. Name generator to generate random, unique and brandable names that are pronounceable. 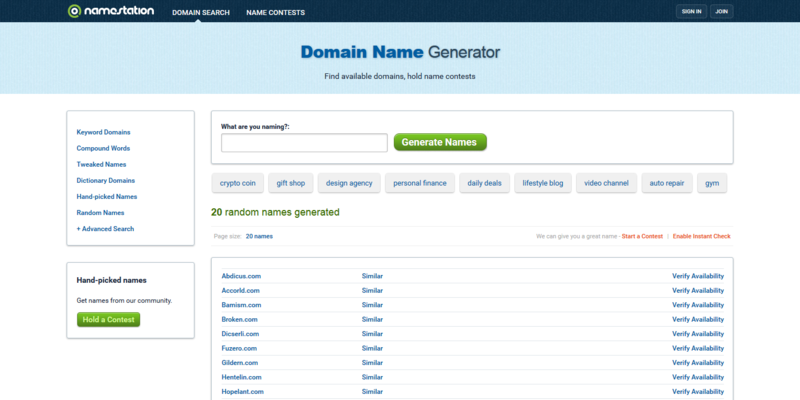 Name spinner this tool combines your keywords to generate domain name ideas. Brainstormer to help discover the new domain names based on your ideas. This tool not only generates brilliant domain names, it also provides search guidance, keyword suggestions and different names based on a set search criteria. The keywords are grouped based on the category that fits your business and it combines them to generate a list of available domain names. It requires you to log in before you can carry out a search. Domainr allows users to check out domain names beyond the popular extensions i.e .com, .net, and org etc. It helps you to find new and fascinating domain names. Besides, it anonymously keeps a log of searches and tracks nearly 2000 top-level domains and generic domains that can be booked. Dot-o-mator is simple tool, aptly designed for beginners. You don’t need any technical expertise to use it. It is built on Web 2.0 name generator and generates interesting domain name suggestions. Enter the keywords or select from their name lists. Hit enter and see the available domain names generate. Which tools do you use for finding the domain names and registering them? Do let us know in the comment. About Author: Jyoti Ray is the founder of WPMyWeb.com. He writes about Blogging, WordPress plugins, Hosting, Affiliate marketing etc. He mostly spends times on blogging, reading books and cooking.